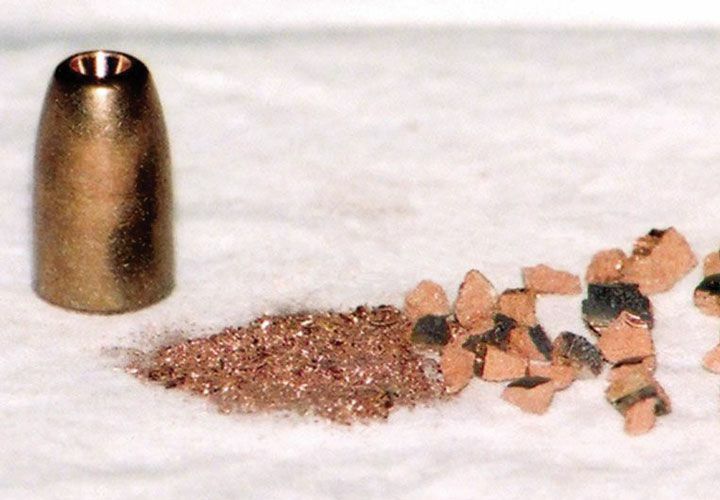 Custom Cartridge Hush Frangible: Custom Cartridge Inc.'s Hush frangible duty ammunition provide sub-MOA accuracy, a one-shot stop, and minimize hazards to other officers, bystanders, and adjacent structures from over-penetration or ricochets. Proprietary processes and tooling ensure outstanding performance and match-grade accuracy. This ammo is currently carried by increasing numbers of SWAT/SRT teams, and the LAPD bomb squad uses Hush for remote bomb detonation and disruption. SWAT/SRT teams and bomb squad orders are specifically tuned for their usage. The company's research and development staff are available for advanced ballistic development and analysis.